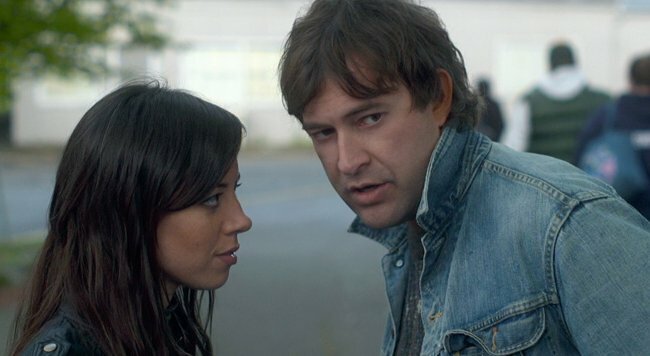 My sister texted me to tell me that she watched the movie Safety Not Guaranteed, and that she thought I would like it. The movie follows three magazine employees who try to interview a man who placed an classified ad to find a companion for time travel. It is funny. It is clever. And it is heartfelt. It’s a movie full of that guy. It has that guy from The League. And that guy from New Girl. And that girl from Parks and Recreation. Best of all, though, it has some other dorky Indian guy who you will be rooting for the entire time. The classified ad itself tells such an amazing story, and I remember laughing so hard that I cried when I saw it for the first time. And while it may have been printed as a joke, I couldn’t help but imagine the same type of character that Derek Connolly (the writer) brings into existence in the movie. You all know me by now. So you know that I like giving life to mundane, everyday events. As such, I couldn’t help but be joyously jealous of this movie. How had I not thought to write a script based off of this epic classified ad? I could have made a movie! Although, I certainly couldn’t have done it as well as they did. I've only heard the movie name, but not much more than that. I had no idea someone made a movie about that classified ad. That's hilarious. This movie looks right up my alley. Also, Aubrey Plaza is hot in a weird, creepy, “I could murder you” kind of way. That just me? I am so glad people are liking this movie. I absolutely loved it. I may even end up buying it. And I'm with A Beer about Aubrey. She's cute, but in a creepy way. I have seen her in interviews and she is truly strange and wonderful. The Husband and I never agree on movies, but we both lurrved this one. I saw this movie this past weekend and loved it! I was actually going to write something about it on my blog as well, but I'm lazy and forgetful. That's awesome that you used the image in a past post. It's like your blog is a gateway to success. I wonder if the person who pu out the add got any money for the movie. I should start reading the newspaper classifieds to see if I can find any movie ideas. I don't know who “that guy” is. Perhaps you could introduce us? If I saw that ad in the newspaper, I don't think I'd laugh. I'd apply. I watched it a few weeks ago and loved it as well. Awesome movie. Love this movie, I was so glad that he wasn't just a psychopath with a fake ear. Added it to the queue… I'm glad I'm not the only one that did that too. I haven't seen it but it looks FREAKING AMAZING! Your blog is like time travel…I'm in awe now. I had heard about the ad and that they had made a movie from it, I'll have to watch it. I guess I'll be the first one to mention about how much I loved the scene from Napoleon Dynamite, I love me some time machine humor. I've heard good things about that movie! Adding it to my list.